At last! After a mainly cold,wet summer last year followed by the long, cold winter, we started our first course of the year this week. I think the miserable winter must have put people off the idea of a week in the woods, so we only had four bookings on this course but it gave me the opportunity to train up this year’s assistants. Stephen has returned as the main assistant, having worked with Barn as an assistant in 2009. 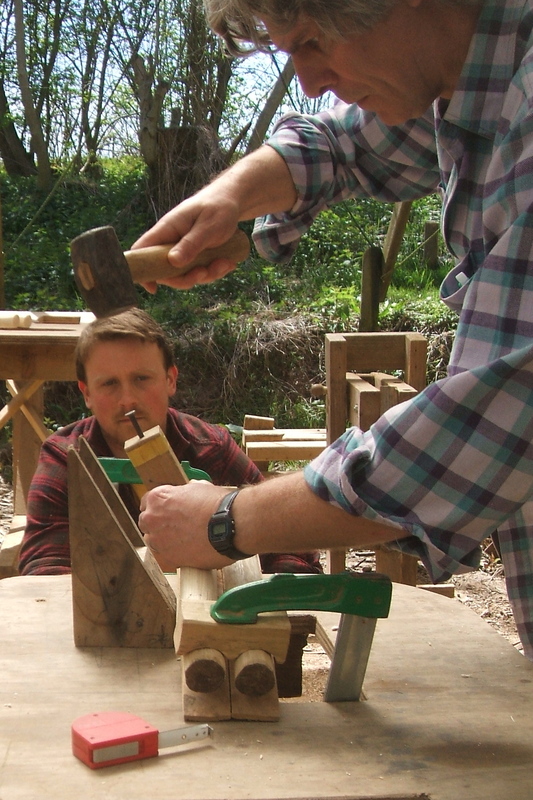 Johnny, James and JoJo will be taking it in turns to work alongside Stephen in guiding this year’s students through their chair-making courses. 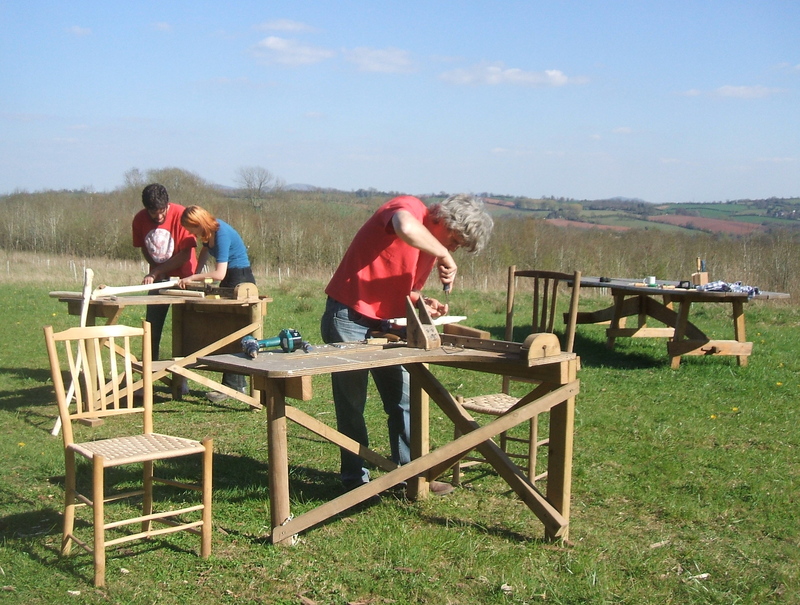 Yesterday the sun shone non-stop from the dawn chorus until sunset, so having made all the parts for the chairs during the first two and a half days, we moved some benches onto the field at the edge of the woods to start assembling the chairs. 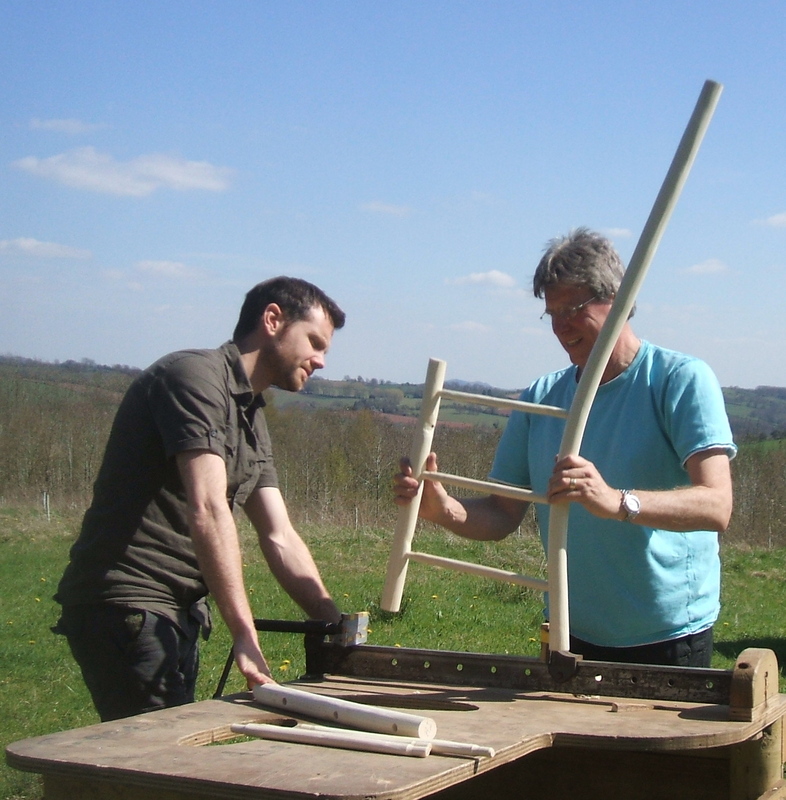 We were also able to use the magnificent dining table built last year by Owen, Steve and the other volunteers. As well as using it at lunchtime, it also serves well as a woodwork bench with a view across the valley to the Malvern Hills in the distance. 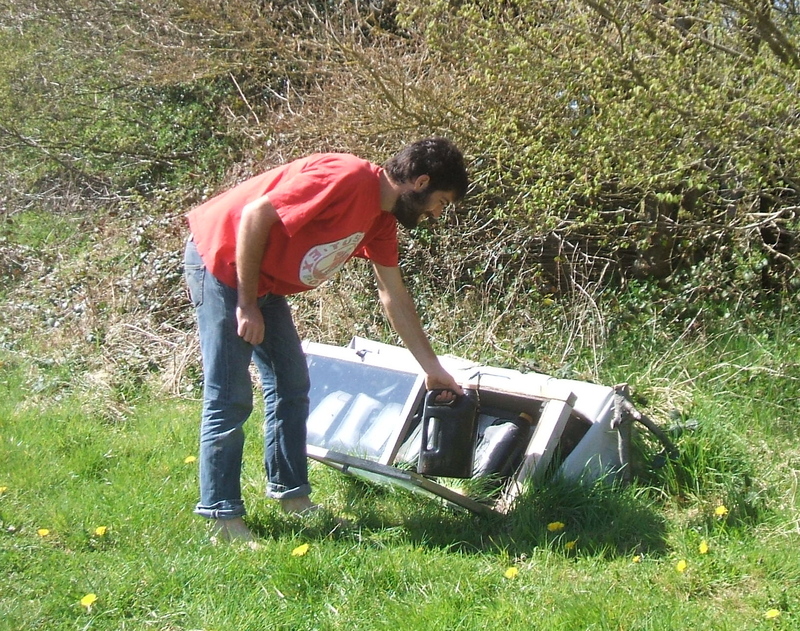 By lunchtime our simple solar water heater had warmed 7 gallons of water to just the right temperature for a shower. The next two courses are about fully booked but we still have places for the course from June 10th to 15th. After the dry cold March and the showers in late April, I fully expect a blazing June, so book a course place soon and you will hopefully be able to spend a creative week, basking in the Herefordshire countryside.